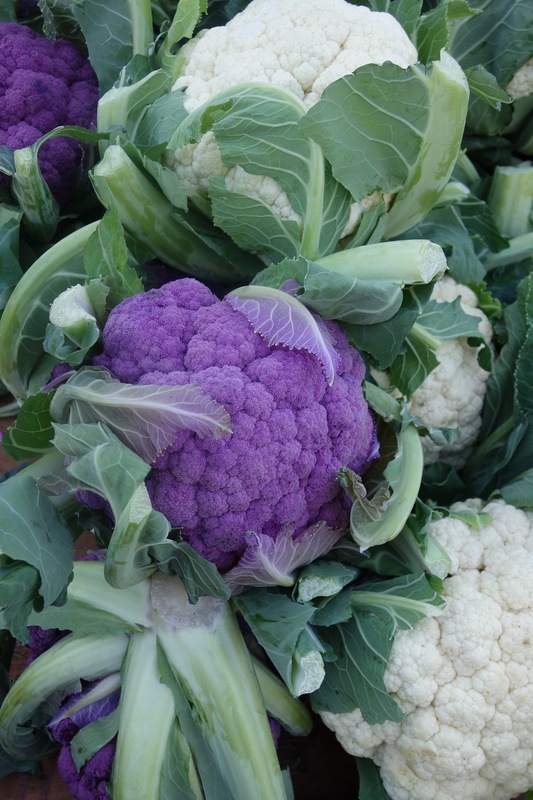 Colorful cauliflower found at the Culver City Farmers Market in Los Angeles, California. I love adding cauliflower, especially the purple, to a platter of winter crudites! 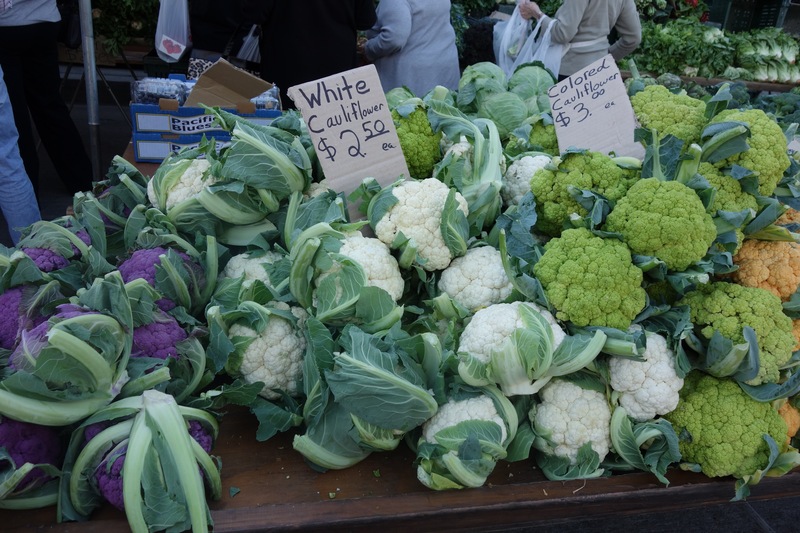 Different varieties of cauliflower grown by Underwood Family Farm in Southern California. It’s Mardi Gras cauliflower. I love it!!! Yes, of course it’s Mardi Gras cauliflower. I’ve never heard it described it that way and in fact, it’s a perfect label. Thanks, Roxanne! !